The Hadoop processing engine Spark has risen to become one of the hottest big data technologies in a short amount of time. And while Spark has been a Top-Level Project at the Apache Software Foundation for barely a week, the technology has already proven itself in the production systems of early adopters, including Conviva, ClearStory, and Yahoo. Spark is an open source alternative to MapReduce designed to make it easier to build and run fast and sophisticated applications on Hadoop. 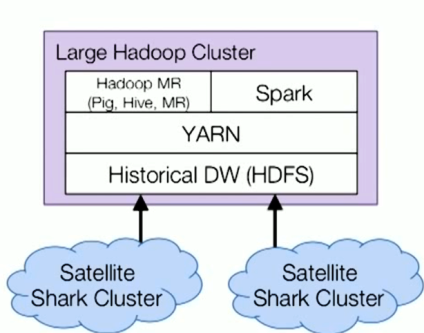 Spark comes with a library of machine learning (ML) and graph algorithms, and also supports real-time streaming and SQL apps, via Spark Streaming and Shark, respectively. Spark apps can be written in Java, Scala, or Python, and have been clocked running 10 to 100 times faster than equivalent MapReduce apps. Matei Zaharia, the creator of Spark and CTO of commercial Spark developer Databricks, shared his views on the Spark phenomena, as well as several real-world use cases, during his presentation at the recent Strata conference in Santa Clara, California. 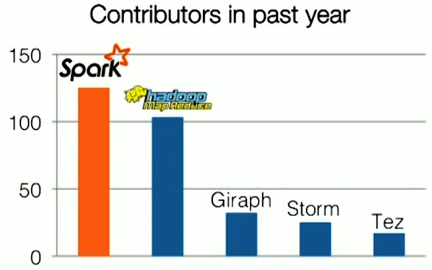 Zaharia argues that Spark is catching on so quickly because of two factors: speed and sophistication. “Achieving the best speed and the best sophistication have usually required separate non-commodity tools that don’t run on these commodity clusters. [They’re] often proprietary and quite expensive,” says Zaharia, a 5th year Ph.D. candidate who is also an assistant professor of computer science at MIT. Up to this point, only large companies, such as Google, have had the skills and resources to make the best use of big and fast data. “There are many examples…where anybody can, for instance, crawl the Web or collect these public data sets, but only a few companies, such as Google, have come up with sophisticated algorithms to gain the most value out of it,” Zaharia says. Yahoo has two Spark projects in the works, one for personalizing news pages for Web visitors and another for running analytics for advertising. For news personalization, the company uses ML algorithms running on Spark to figure out what individual users are interested in, and also to categorize news stories as they arise to figure out what types of users would be interested in reading them. To do this, Yahoo (a major contributor to Apache Spark) wrote a Spark ML algorithm 120 lines of Scala. (Previously, its ML algorithm for news personalization was written in 15,000 lines of C++.) With just 30 minutes of training on a large, hundred million record data set, the Scala ML algorithm was ready for business. Another early Spark adopter is Conviva, one of the largest streaming video companies on the Internet, with about 4 billion video feeds per month (second only to YouTube). As you can imagine, such an operation requires pretty sophisticated behind-the-scenes technology to ensure a high quality of service. As it turns out, it’s using Spark to help deliver that QoS by avoiding dreaded screen buffering. In the early days of the Internet, screen buffering was a fact of life. But in today’s superfast 4G- and fiber-connected world, people’s expectations for video quality have soared, while at the same time their tolerance for video delays has plummeted. Spark are also getting some work at ClearStory, a developer of data analytics software that specializes in data harmonization and helping users blend internal and external data. ClearStory needed a way to help business users merge their internal data sources with external sources, such as social media traffic and public data feeds, without requiring complex data modeling.